Friday of spring where the temperature hits 70 degrees. Each year we park ourselves for the afternoon at a local restaurant and before we leave there is a drawing for free Overhead Door garage door opener. This year we will be at Charlie’s On Prior in Prior Lake from 1 to 3 in the afternoon. While it is tough duty, we will power through for the afternoon, sitting on the deck hoping that a sea gull does not poop on our head; all so that someone can go home with a brand new shiny garage door opener. We are pretty excited. Hope to see you there! Door and access systems technicians with Overhead Door Co of the Northland, Eagan, MN, have been designated as Certified Commercial Sectional Door Systems Technicians by the Institute of Door Dealer Education and Accreditation (IDEA). The certification credentials have been awarded to: Matthew A. and Chad C.
The Certifications are effective as of June 1, 2017. Imagine coming home after a long day of work to find the door between your house and garage ajar. As you walk inside, you see a mess of broken dishes in the kitchen and your television missing from the wall. Your master bedroom is torn apart and your grandmother’s ring is gone. Yes, you’ve been a victim of a home burglary. Unfortunately, you’re not alone. 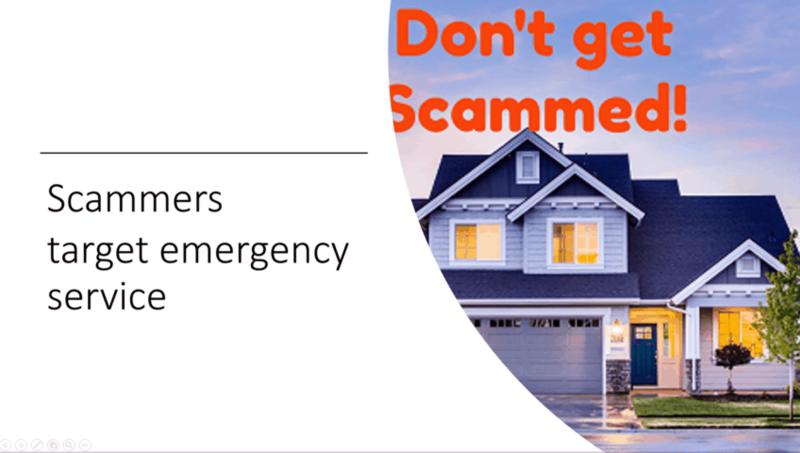 According to the FBI, a U.S. home is burglarized once every 15 seconds. Today’s homeowners are discerning. They appreciate beauty and value. They want options—even when selecting garage doors. They want a choice of colors, windows and hardware that complements the style of their house and enhances curb appeal. In addition, they want to know their doors will be durable and secure, offering a convenient, comfortable passage into their home at the end of a long day. Are you fixing up your house for the spring home-selling season? Or are you simply looking for affordable ways to add value and curb appeal to your home? Homeowners are all about curb appeal these days, looking for ways to increase the value of their homes. One simple way to boost the look of your home is by upgrading or updating your garage door. Wood Accents are a popular trend in interior design but some homeowners don’t want to deal with the upkeep. 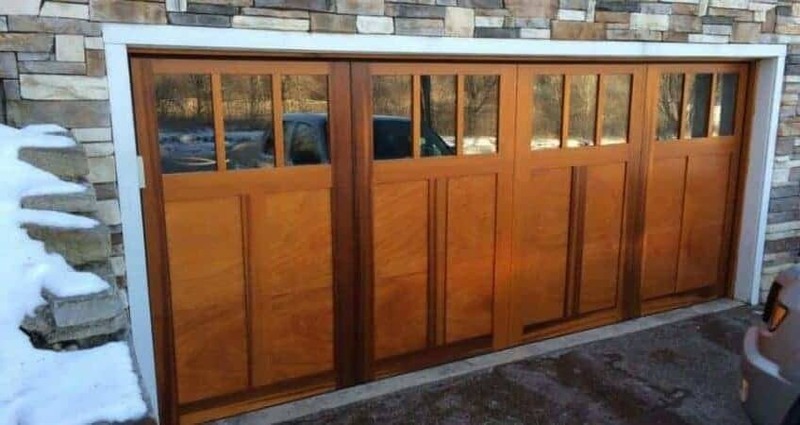 There’s hope, faux wood garage doors are made to look like wood but they are made out of steel or fiberglass. Provides you with durability while giving you the natural look you want. 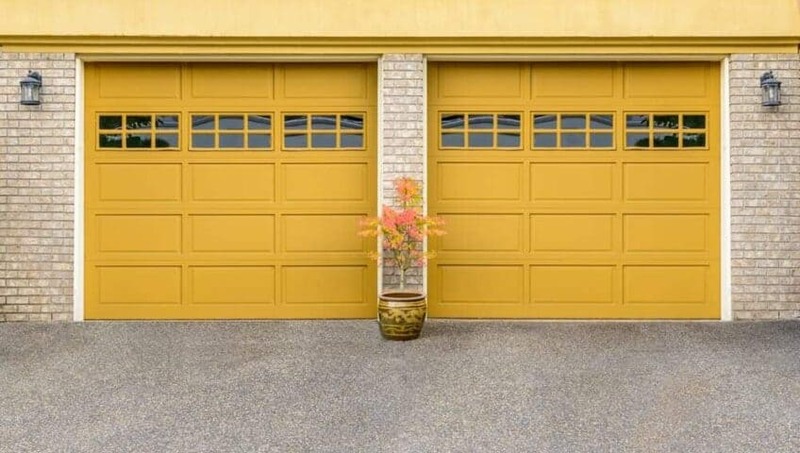 Homeowners want to stand out among the neighborhood, resulting in bolder, more vibrant color choices for their garages. Picking a color that complements your home rather than blends in gives your home a modern and unique look. Use your door to share something about your personality and take a chance to express yourself. 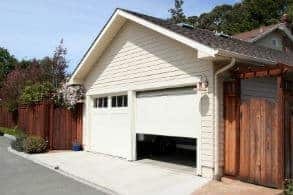 Garages are being utilized for a plethora of reasons these days, adding windows allows more natural light to pour in increasing the usefulness of the space. Not to mention it adds artistic value to your home. Whatever your curb appeal ideas might be, Overhead Door Company of Northland will take care of the hard work for you, call 651.683.0307 to make your garage door dreams come true. Overhead Door is a part of the The Green-Grossfield Project! We were ecstatic when Jordana and Marc asked Overhead Door of the Northland to be a part of their remodel being featured in Midwest Home Magazine! They chose a very dramatic glass and metal door from our new (Name) line, that fit the exterior of their house so well! The best part, according to Marc? You can open it with an app from anywhere in the world. That means he can let the kids or workmen in, while he is sitting at his desk at work! Jordana describes the garage doors as her “salvation.” We don’t know if there is a better compliment we could get than that! 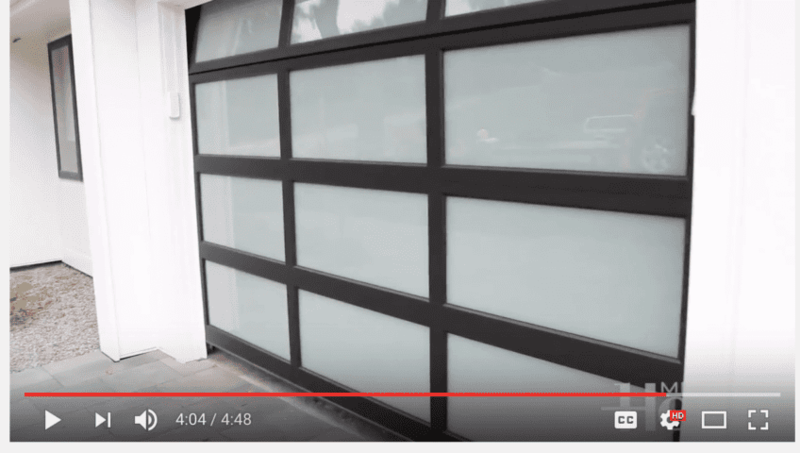 Check out the video below to see their stunning garage door (it’s featured at 3:39), as well as several other of the Minnesota made products they are using in their remodel. You can also read more about the project here. 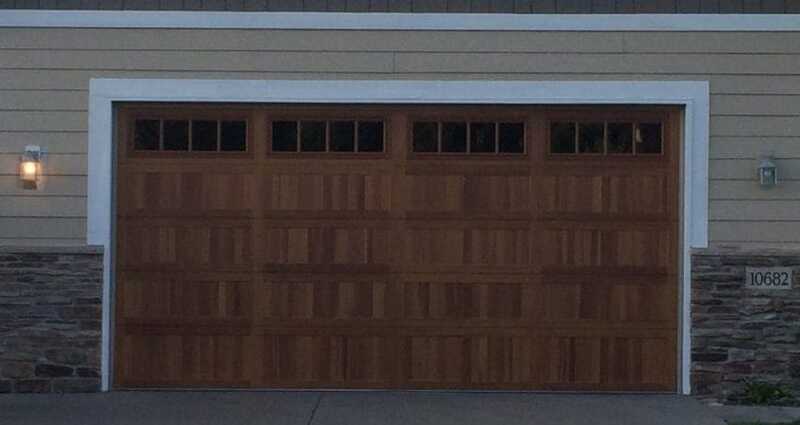 Are Wood Garage Doors For You? Do you live in a humid or rainy climate like St. Paul, MN? Do you plan on painting your garage door? Would the wooden aesthetic pair well with your house? Choosing the right wood to make up your door is important in addressing these questions and making sure it will last. Cedar and redwood are popular picks for their durability and climate resistance. MDO panels has a grain free surface for a smooth finish. 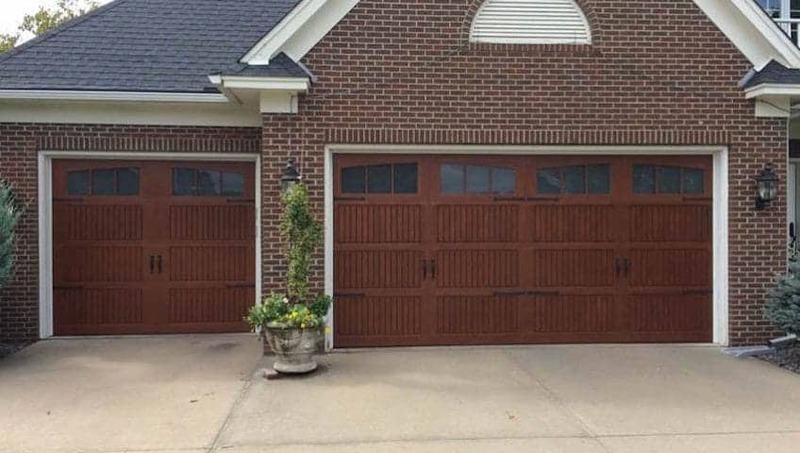 Wooden garage doors look great against other natural materials and colors that compliment brown. If a wood garage door is not for you, we hold many other alternatives such as manufactured wood and faux wood garage doors that are made with steel or fiberglass. Contact us today, to learn more or get in help in selecting the perfect garage door for your home. 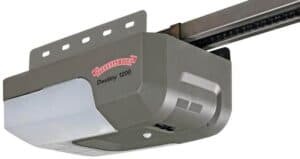 Throughout the Minneapolis / St Paul metro areas and southeast Minnesota, we bring our experience and professionalism to residential and commercial customers with a complete line of garage doors and openers.